Tapestry ended its latest fiscal year on a high note Tuesday. TheStreet catches up quickly with Tapestry CEO Victor Luis. Tapestry (TPR - Get Report) had a fashionable end to its reporting year. The purveyor of the Coach and Kate Spade brands posted fourth fiscal earnings of 60 cents a share, beating Wall Street forecasts for 57 cents a share. Sales came in at $1.48 billion, narrowly surpassing estimates. Same-store sales, which for Tapestry encompasses sales online and in stores, were better than most on Wall Street expected. 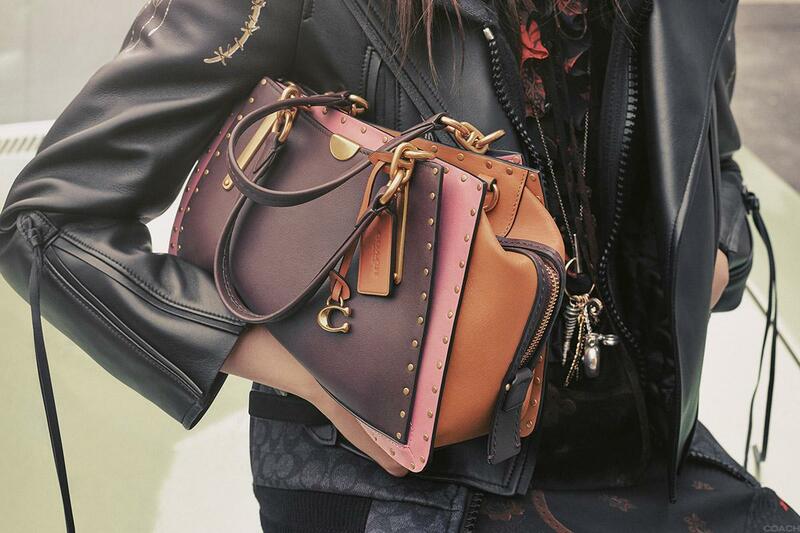 Coach's same-store sales rose 2%, relatively in line with forecasts. Kate Spade, which is undergoing a distribution transition since being acquired by Tapestry in 2017, saw sales drop 3%. Wall Street anticipated a 7.2% decline. Shares popped 12% in Tuesday's trading session as investors cheered the sequential sales improvement at Kate Spade and the brand's outlook. Kate Spade's same-store sales had dropped 9% in the fiscal third quarter. For fiscal year 2019, Tapestry projects double-digit revenue growth for Kate Spade as it pushes deeper into international markets. Tapestry outlined fiscal year 2019 earnings of $2.70 to $2.80 a share versus analyst forecasts of $2.84 a share. Perhaps now Tapestry's stock could get moving again. Shares flat-lined since the company's mixed third quarter performance in May, driven in part by execution issues at Kate Spade. "One of the key concerns on Tapestry over the last two months has been the annual guidance," RBC Capital Markets analyst Brian Tunick pointed out in a note. TheStreet caught up quickly with Tapestry CEO Victor Luis and Coach brand CEO Joshua Schulman to discuss the quarter and outlook. What's your sense of the market's reaction today vs. three months ago, who is right and who is wrong? For us, it's just about maintaining our long-term vision and continuing to execute with it. Obviously 2018 was an incredibly pivotal year for us. When we start the year with the acquisition of Kate Spade, then do the re-branding to Tapestry and have been making significant investments in our infrastructure so we can more efficiently manage our current business. We are also investing in distribution. What drove the better sales trend at Kate Spade? We are very excited by it. From a bricks-and-mortar same-store sales perspective, the quarter was consistent with what we were seeing at down 3%. The difference was really a beat versus our expectations digitally. We have been making investments online such as on design. First, our flash sales -- which we have been reducing -- have shown better efficiencies relative to our plan while still down. Secondarily, following the untimely passing of our founder Kate Spade we did see a period shortly after that with increased demand online even if it was a short-term period. Coach delivers a surprise quarter. Is an old school blowout same-store sales figure for Coach coming given the brand's design overhaul? We are pleased with the performance, which is in line with our expectations. What we have seen is that this was a pivotal year for Coach as well. The impact of Selena Gomez. Innovation in the $300 to $400 price bracket. Some of the marketing moves from legacy print to digital. We are incredibly confident and pleased with the team we have in place at Coach. It has been a journey for the brand. This has been the first full year in some time where we have seen positive growth continue over four quarters. It's a tremendous accomplishment compared to where we were three years ago. I am excited about it. We continue to plan conservatively. We know it's a marathon, which is a key learning from our past experiences. 20% to 30% growth for two quarters and then seeing a correction is not necessarily a journey we want to take. Any early sales reads from the Selena Gomez collaboration? The collection last year with Selena Gomez was a sellout. We are literally launching pre-orders right now today on our site and on Neiman Marcus for a new Selena capsule, which for the first time shows a complete head to toe look. No early reads on that. You hinted in the earnings release a new store design. Any details on that? We have now rolled out our modern luxury concept to over 70% of the fleet. One of the aspects of it is the interactive craftsmanship bars, which we have added to hundreds of stores worldwide. In addition, we are augmenting that very hands on experience with some digital features that we have been testing. Among them is a digital wallet finder, scarf styling tool and are finding great results in a handful of test stores. We are rolling them out, and adding more of a digital experience to our fleet this fiscal year. Big push in China this coming year. Have business trends changed given the trade rhetoric? In terms of overall consumer sentiment, things for now are pretty consistent. I think we are in a very unique situation in terms of asset valuations and consumer confidence and low unemployment globally in major markets. We want to remain cautious though as there is no way things can continue this positive in terms of overall macroeconomic sentiment. We know there are bumps to come, it's just a matter on what will trigger those. In terms of China, there is no larger geographic opportunity for our brands. Coach continues to develop there, and both Stuart Weitzman and Kate Spade are in their early stages of development there. Obviously for us as a global company, our preference is for very free and fair trade. We are unfortunately not in the position to negotiate that. But obviously we prepare for that risk. We have continued to diversify our supply chain, for example only 3% to 4% of our handbags are in China. We don't anticipate a massive impact to us directly from any decisions the U.S. government may make on duties on goods made in China.